If you’re a Miles, you like the bohemian, go with the flowness of being one with the universe. Or something like that. Transcendental meditations aside, Miles types are usually flexible, amenable to changes in plans, and pretty down to earth. That’s why foliage plants make a perfect addition to the home of a Miles. Foliage houseplants are grown for their leaves, not flowers. Popular foliage plants include ivy, pothos, spider plants, snake plants, ferns, etc. 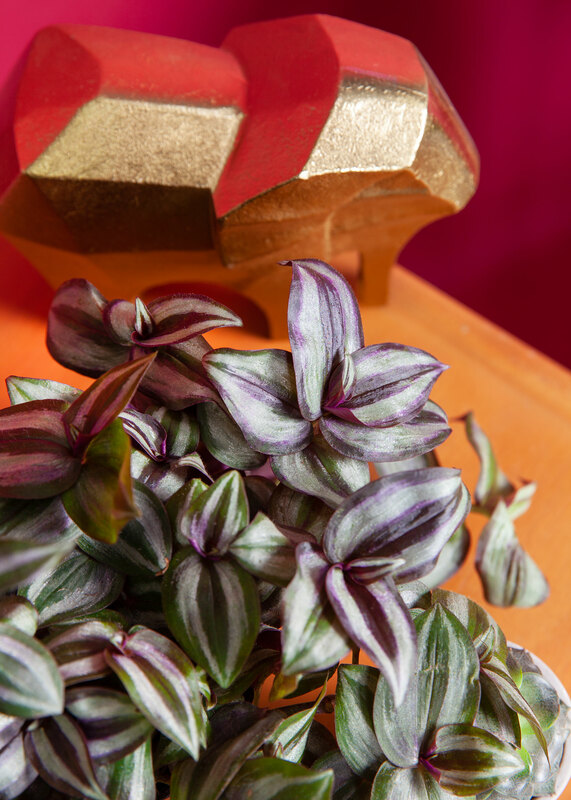 Indoor foliage plants are making a major comeback since their popularity boomed in the 1970s, and we think that is totally groovy. Indoor plants, of course, boast amazing benefits like cleaner air and a healthier lifestyle, as well as giving you something to take care of that doesn’t wake you up at 4:00am when the food bowl is empty. Low Maintenance Care: Who doesn’t love an easy care houseplant? These plants are perfect for someone with a busy lifestyle who wants plants but doesn’t have a lot of time to supervise and care for them. Water, sunshine, boom. They’re like pets but you can leave for the weekend without hiring a sitter. Better Health: It may sound cliche, but having plants around can actually make you healthier. In fact, having plants in the hospital rooms of surgical patients actually sped up their recovery times, and walking through nature can boost immune response. Mental Health: Not only can you boost some white blood cells and recover from an appendectomy faster with the power of plants, but you can also improve your focus and mood. Plants help reduce stress and can even mitigate symptoms of depression and anxiety. Better Breathing: Plants act as natural air purifiers in your home, scrubbing the air of toxic fumes from smoke and VOCs and producing oxygen and natural humidity. It’s true, NASA says so. Before you run to your nearest H-E-B to find the Miles foliage of your dreams, let’s go over some care tips first so you can start off on the right frond. Sun: Our foliage enjoys natural, indirect light. They’re great for a shelf or sill in a sunny room that doesn’t get direct light. Water: Foliage should maintain damp soil but don’t soak it, or the roots can start to rot and your plant will die. Check the top inch of soil with your fingertip and if it’s dry, go ahead and water. If it’s still moist, give it a few days. Temperature: Room temperature is great for Miles’ indoor foliage, but avoid drafty windows when it’s cool outside and don’t put plants in the direct path of any vents. Pets: Furry friends may like to play in the lush leaves of your foliage, but try to dissuade them. Many of our plants are pet friendly and non-toxic, but eating any plant can upset your pet’s tummy. Pet friendly foliage in our collection includes: spider plant, peperomia (rubber plant), parlor palm, fluffy ruffles fern, and rabbit’s foot fern. The sansevieria (snake plant) is considered toxic but it tastes bad so pets typically leave it alone. Use your best judgment. We can’t wait to hear what your favorite foliage is when you stop in at your local H-E-B!